James R. Dolan, Jr., DSW, LCSW, Executive Director, Charles Evans Center. The Charles Evans Center (CEC), an Article 28 licensed health care facility operating as a Federally Qualified Health Center (FQHC) and affiliate of Adults and Children with Learning & Developmental Disabilities (ACLD), announces the appointment of Dr. James R. Dolan, Jr., DSW, LCSW, as new Executive Director. In his role as Executive Director, Dr. Dolan provides broad level executive leadership over all functions of the health center. The Center provides comprehensive state-of-the-art medical care to those with special needs and to medically underserved populations. Services provided at the Center include: Family Medicine, Gynecology, Neurology, Podiatry, Dentistry, Behavioral and Mental Health, Psychiatry, Psychology, Social Work and Case Management. The Center’s patient-centered focus is evidenced by a physical layout that promotes patient comfort, and by how easily one can access the broad range of medical expertise that is provided. “It is an honor to be working within an organization delivering integrated medical, dental and behavioral healthcare, and doing so in a manner that is having a profound positive impact on the lives of those served,” said Dr. Dolan. 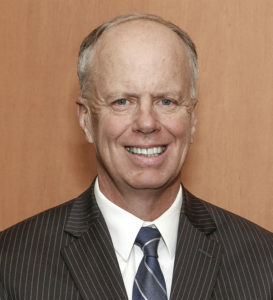 Dr. Dolan was previously Acting Commissioner of Nassau County Department of Human Services where he oversaw the Office of Mental Health, Chemical Dependency and Developmental Disabilities; the Office for the Aging; the Office for Youth Services; and the Office for the Physically Challenged. In his dual role as Director of Community Services, he was responsible for the county-wide behavioral health and developmental disabilities service system. As a Doctor of Social Work with nearly 40 years of experience, Dr. Dolan taught as an Adjunct Professor at the Adelphi University School of Social Work. Dr. Dolan has published articles addressing mental health and chemical dependency issues, and has delivered numerous presentations on this topic to professionals, elected officials and community members. He also hosted the “Recovery Road” radio show from 2013 to 2016. Residing in North Massapequa, Dr. Dolan has a private psychotherapy practice for the past 25 years. Dr. Dolan and his wife have six children and two grandchildren.